163 customers have given this product a 5-star rating. Of these, 158 customers have written no texts or given their feedback in another language. Such a brilliantly simple idea, I wish I had thought of it. These fantastic little connections allow you to connect pedals together without having to drape wires all over your board. As these are the straight ones, they only work when conncting pedals where the input and outputs are at the same level, see my other reviews for the angled ones! 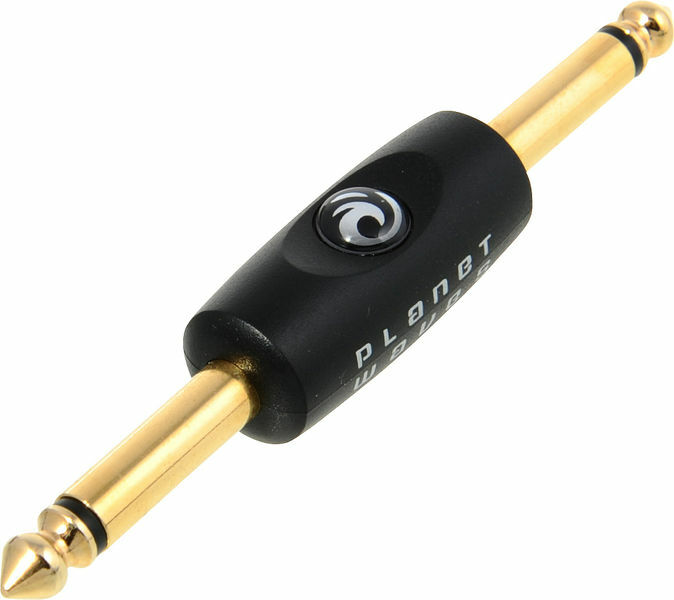 The usual high quality Planet Waves construction, with gold (plated) jack plugs and a 'durable polymer overmould' which is a tough plastic casing with grippable sides for easy unplugging. Sounds great too - it doesn't add anything or colour the sound of your pedals at all which is exactly what you want from a connector! If you're struggling for room on your pedal board and you can't put them close to each other because your jack to jack cables are in the way, this is a great solution, Solid construction, you shouldn't ever have an issue with the build quality of anything by planet waves, however, the day will come when you're unpacking your gear, getting ready for a soundcheck and then it's your turn, Silence, that dreadful moment where you've got to fault find through your pedal board when everyone else is waiting for you to do your check and the gig is close to starting, people watching you etc etc, All it takes is a couple of mm of incorrectly plugged jack to kill the signal path, If however your pedals are properly held down via screws or black magic you should have no worries. If Planet waves thought of a locking device It would be full marks from me. ID: 182703 © 1996–2019 Thomann GmbH Thomann loves you, because you rock!